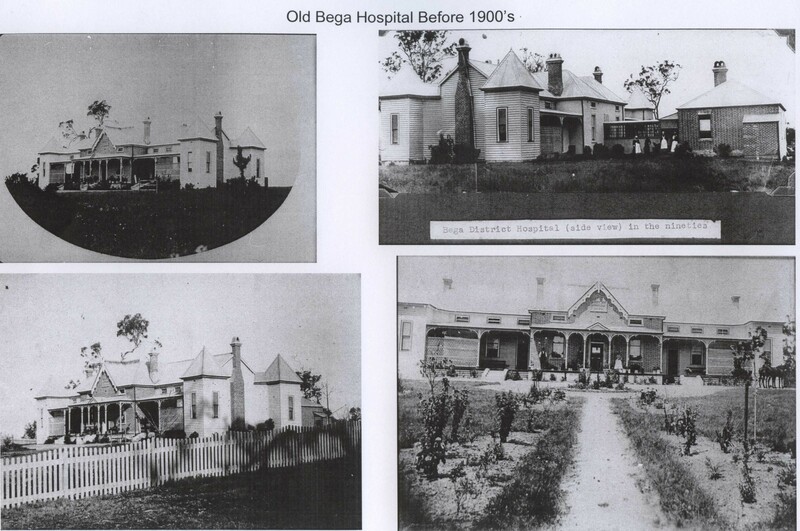 Photos of the Old Bega Hospital have come from a number of sources over many years. Copies are collected here for convenience and safekeeping. Generally the provenance, author, copyright ownership and even the date of each photo, are unknown. We are more than happy to acknowledge sources and ownership where they are known, and apologise for any breaches. We are also working on identifying more precisely and accurately what is shown in each photo. If you can help with any of these aspects for any of the photos please Contact Us. Photos are listed here in approximately date order with the most recent photos at the top. 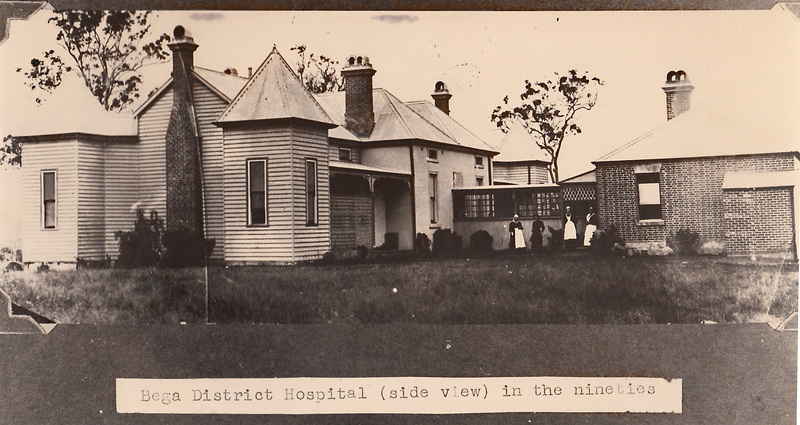 'Bega District Hospital (side view) in the nineties'. Main building from south west with weatherboard cladding, towers in corners, link to laundry with staff, laundry on right, lattice on verandahs, remnant red gums.